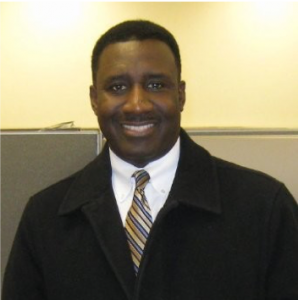 After 20 years in information technology, Grambling State alumnus Dwayne Jackson cast out on his own to build a technology enterprise. Sixteen years later, his journey includes major wins like increasing revenue more than 45 percent and serving clients including federal, state, and local government entities across the U.S.
Jackson, who founded Software Tech Enterprises just two years after the dot-com crash, recently shared critical advice for students and other alumni who are considering careers and entrepreneurship. Jackson’s career since completing his Computer Information Science degree has seen the technology sector grow exponentially over the last 25+ years. Over that time, he has developed unconventional views have helped Software Tech and many of its clients lead in enterprise architecture, data management, internet-of-things and other emerging business innovations. When asked where his “different” view started, Jackson offers that a futuristic outlook starts with changing behavior. “If you want to be successful, you have to do things people don’t want to do,” he said. Grambling State’s Computer Information Science degree has a legacy of producing global leaders in both the public and private sectors. For Jackson his work with major corporations like Lockheed Martin helped him realize his passion and expertise for helping local governments innovate. “What sets us apart is that we have a niche market strategy. We work to identify how information technology can help truly support business initiatives. That’s what has led to our growth,” Jackson said. Grambling State University would like to thank Dwayne Jackson for sharing his expertise and participating as a major donor to this year’s #BringItHome2018 campaign. If you know an alumnus we should spotlight, email GSU’s Office of Communications at mediarelations@gram.edu. This entry was posted in Uncategorized on September 11, 2018 by Jovan Hackley.